Flat rate bee removal and control in Apache Junction. Guaranteed service for one flat fee. Honeycomb removal and repair service in Apache Junction. From start to finish we will take care of it all. 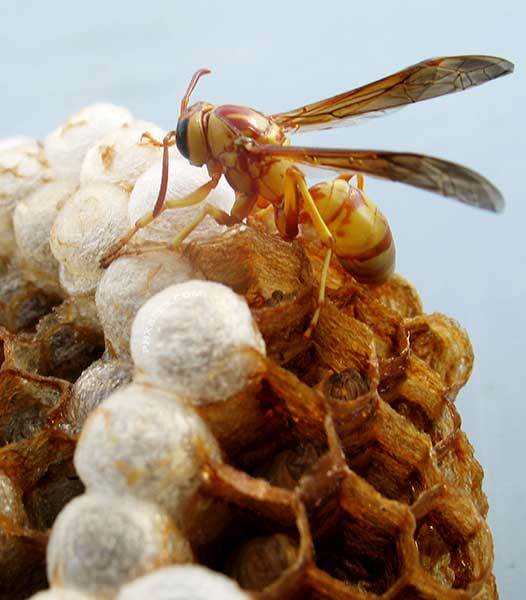 We offer extermination services for all species of wasps, hornets, and other stinging insects in Apache Junction. Bee Removal Apache Junction, AZ. Guaranteed bee removal and control service. Fully licensed and insured and locally owned and operated. We also offer honeycomb removal and repair service as well as full home seals for Apache Junction. 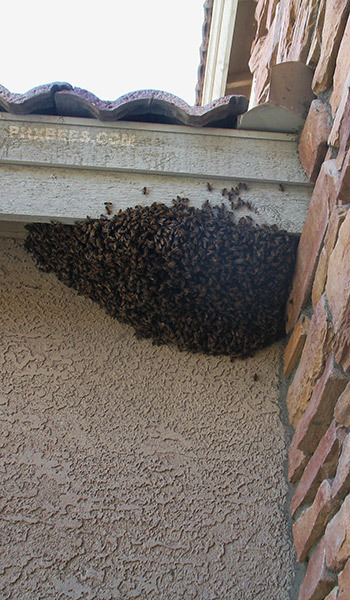 Have any question about bees around your home in Apache Junction. Give us a call and we can try and help you get the answers you need to help solve your bee problem. 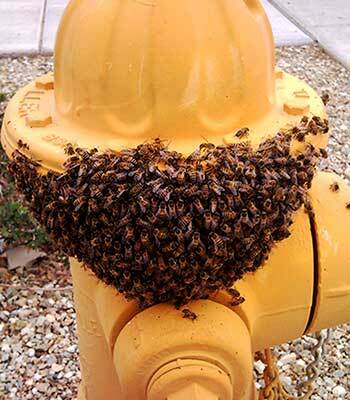 Bee removal in Apache Junction and around the Superstition Mountain is becoming the norm. 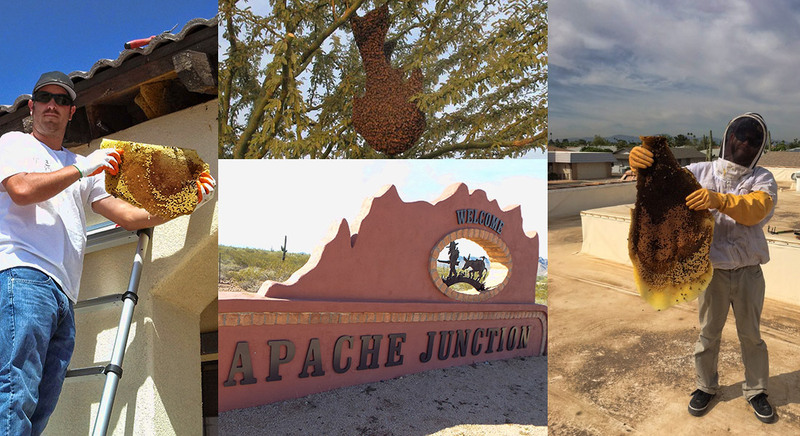 The City of Apache Junction is a prime spot for Bee activity. 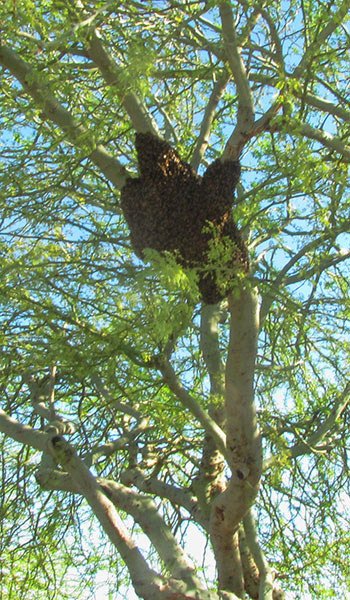 During the spring, with all the trees and wildflowers blooming, bee swarms in trees and on homes is a common occurrence in Apache Junction. Unfortunately finding a new home is the reason the bees are swarming and that could mean in or around your property. Nestled in the hills under the Superstition Mountains inside Pinal County in the far East Valley. Nestled in the hills under the Superstition Mountains inside Pinal County in the far East Valley. Apache Junction and the Gold Canyon area hold some of the valley's most beautiful homes with amazing views of not only the Superstition Mountains but of Phoenix as well. Bees love all the swimming pools, water features, ponds, golf courses, gardens, and homes. Keeping them from moving in is no easy task and should be handled by a professional. 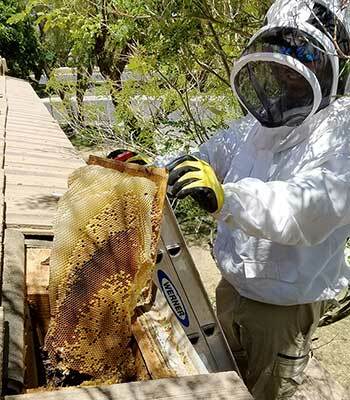 Africanized bees are in and around Apache Junction and throughout Maricopa and Pinal Counties. They can be very dangerous and every year we hear of someone being attacked by bees trying to treat them without consulting a professional. Please do not try to treat bees on your property yourself. Not only can you be injured but you can also unknowingly get someone else or their pets hurt. 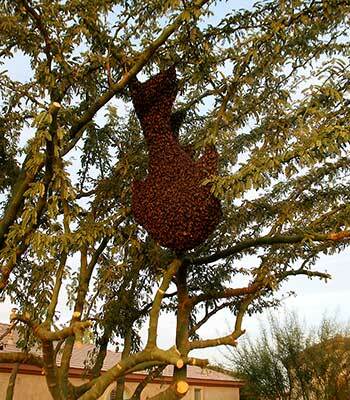 Stay clear of any feral bees and leave the migrating swarms in trees alone. Trying to treat bees with over the counter pesticides and without any experience is a very bad idea and can lead to unintentional injuries and possibly deaths. Always call a professional when dealing with honey bees. We offer emergency bee removal service for Apache Junction, AZ. 24/7. We will take care of any problem you have day or night if the situation arises. Keeping you and your family safe is of utmost importance and is always our top priority. Bees can become very dangerous if the situation is not handled properly and in a timely manner.